Please log-in. If you don't have an account, PLEASE register. You will get extra benefits to the criterz forums!! 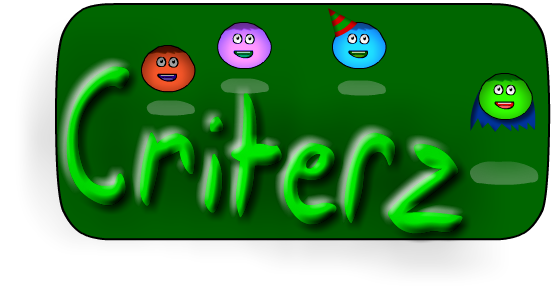 the criterz mmorpg game forum! Idk if we will keep all of our users and posts, and what not. But soon-ish we will be moving from forumotion to SMF or somthing. Sorry for the no updates the past two weeks. VERY soon, there will be a new forum, and friday features will start up again. Location : why would you want to know? STALKER! if you want to make it so you enter a name and it shoes it under the critter, you make an input box. And there is all that stuff in the properties panel? There is one that says Var: So all you have to is put a variable (anything, like "egg's are good" Then put that same variable where the sprites name is. your welcome! Location : making my many websites! You make a input box. player put something in input box. » MediaCore by Speedflow — Absolutely Flawless System!